PMississippi MUTTS will introduce its new event, Yappy Hour, tonight from 4 to 6 p.m. in Cabin 82 of The Graduate Oxford. Tonight and the third Monday of every month going forward, there is an open invitation to all dog lovers within the Oxford community. Mississippi MUTTS facilitates the homing of animals in Mississippi with the goal of alleviating animal overpopulation in shelters. A portion of proceeds collected at Yappy Hour will benefit the charity, and those donations will be put toward foster animals’ medical emergencies and supplies that foster homes need to care for the animals. Emma Heasley, the charity’s developmental director, said she’s excited to see the fellowship of the Oxford community at the event. Heasley said Yappy Hour is intended to bring the local community together to fundraise and form relationships over a common goal. 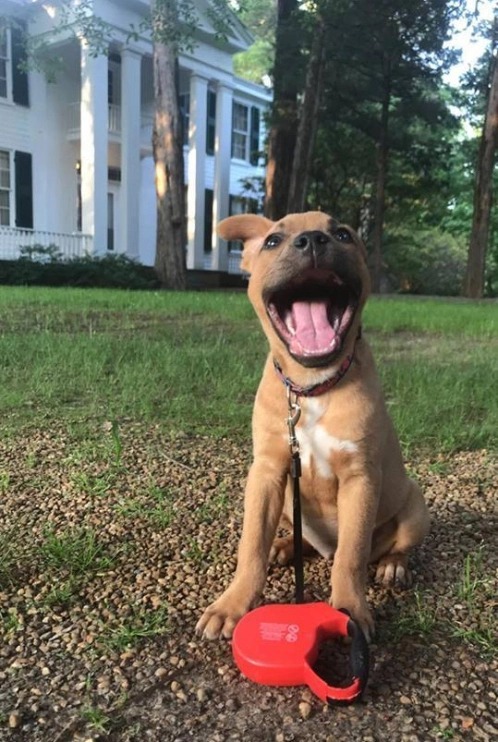 Mississippi MUTTS will be hosting their new monthly event, ‘Yappy Hour’ tonight at The Graduate where dog lovers can come together for appetizers and cocktails. Photo courtesy Meghan McNabb. Meghan Titus, the event coordinator for Mississippi MUTTS, said she is looking forward to the inaugural event. Each Yappy Hour will feature complimentary appetizers and dog-themed cocktails for guests, as well as treats for four-legged friends. “We can’t disclose the names of our dog-themed cocktails, but they will be fun and creative, so make sure to come find out,” Titus said. She added that applications to be foster animals will also be available to attendees. Megan McNabb, a junior integrated marketing communication major who plans to attend the event, said that it’s not uncommon for people who foster animals to fall in love with their temporary pets enough to make them permanent ones. She came across a Mississippi MUTTS Facebook post expressing a need for additional fosters and ended up fostering two dogs at once.